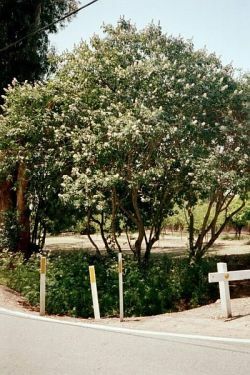 Comments: Deciduous, native throughout valley and foothill areas of California. In April or May fragrant, creamy flower plumes make it a giant candelabrum. Plump green fruits ripen in fall into large shiny-brown nuts resembling the eye of a buck. 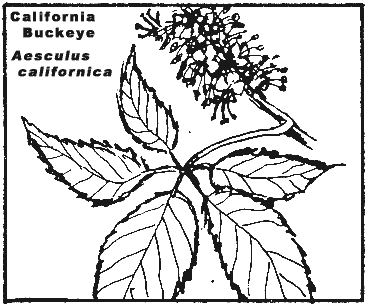 The California indians used the fruit as a fish poison.